This large 96″ by 50″ colonial oval double sided porcelain sign has mounting brackets on the top to hang the sign. 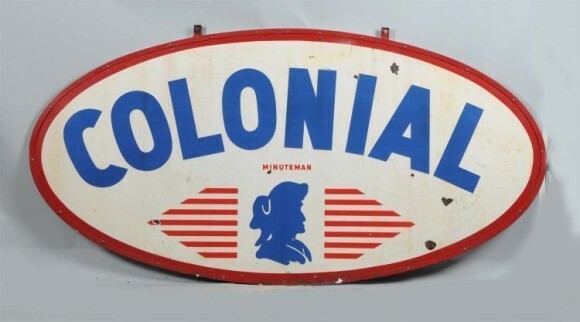 The sign is red, white, and blue, just like most of Colonial’s advertising. The sign is very long. In the lower center of the sign is an outline of a head. To either side of the head are a series of red lines.